For those Mustang-lovers counting down the days until they can get their hands on the new Shelby GT350 Mustang, count no more—the time is here. Ford recently announced that it is celebrating the 50th anniversary of the legendary Shelby by auctioning off the first production unit of the next-generation car. The auction will occur at Barrett-Jackson in Scottsdale, Arizona on January 17, 2015. The winner of the GT350 will be able to choose from a variety of colors and packages, giving them the ability to create a unique, performance-oriented pony car. The GT350 uses the first production V8 from Ford for power. The 5.2-liter engine churns out more than 500 horsepower and 400 lb-ft of torque. For more information about the 2015 Shelby GT350 Mustang, contact Sanderson Ford today or visit the Barrett-Jackson website. If you’re a car enthusiast then there’s no question you get a little excited every time you hear the word “Cobra”. Representing the epitome of auto-tuning, the Cobra models boast performance and styling like no other cars on the road. So when Ford announces they’ll be introducing a new “King Cobra,” you know you’re in for something incredible. According to Ford, the new 2015 Mustang King Cobra features an unparalleled parts package; modifying drag, handling, and the power source under the hood. That means a completely redesigned Mustang, built for both the street and the drag-strip. Harkening back to the first King Cobra model built by Carroll Shelby in 1963, the 2015 King Cobra is an engineering marvel. A 2.3-liter Twin Vortices Series supercharger adds incredible power, coming with an additional intake manifold, fuel-injectors, and an intercooler system, among other things. The suspension can be completely modified, as well as the frame and exterior shell. 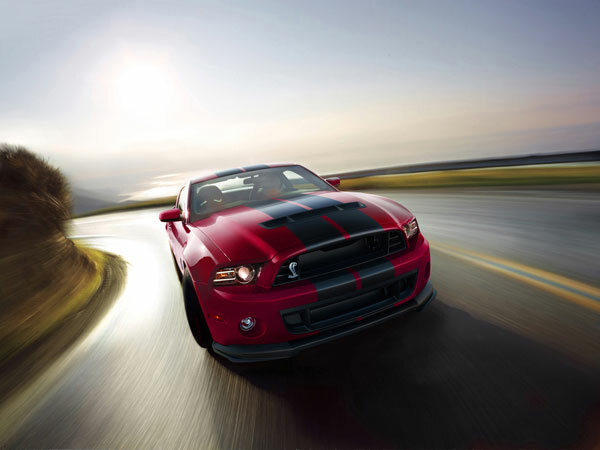 To check out the new 2015 Ford Mustang, which can be modified to become a King Cobra, stop by Sanderson Ford. A 50th birthday is a momentous occasion, marking half a century of accomplishments. You’re probably wondering, so whose birthday is it? It’s the iconic Mustang’s! That’s why the Ford ICON50 Campaign is being launched, in order to celebrate the 50 years of influence the Mustang has had. Here at Sanderson Ford we recognize the prominence of the Mustang, especially because it has inspired whole generations of cars which followed its unveiling in 1964. It represents both freedom and adventure, something Ford is striving to revitalize in America. According to a recent survey, 42% of Americans can’t remember the last time they tried something new. Ford can change that. The Ford ICON50 Campaign aims at helping people capture excitement. 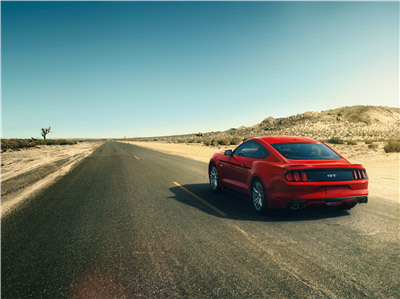 For a chance to experience the adventure the Mustang embodies, stop by Sanderson Ford for a test drive today. 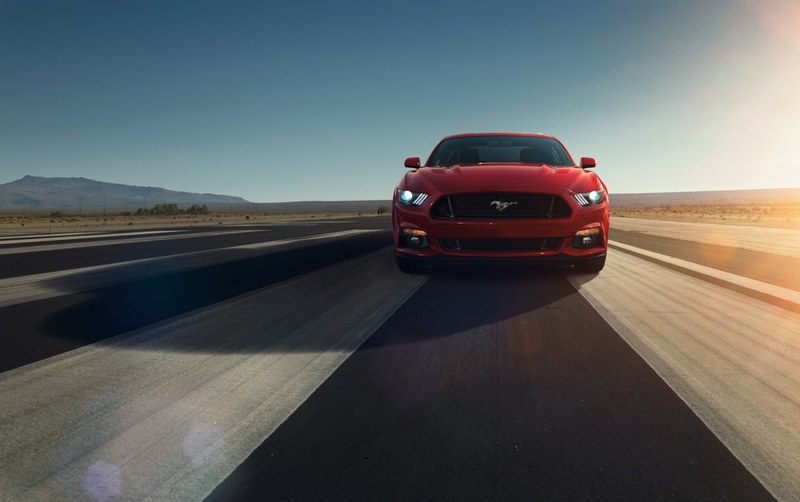 2015 represents the 50th anniversary for the Ford Mustang, an enduring icon of American muscle. The classic sports car is just as relevant and viable as it was 50 years ago, even though it is now in its sixth generation of design. To celebrate, Ford is making an Anniversary Edition Mustang, but only producing1,964 of them (to commemorate the year that production first began on the Mustang). The limited edition model will feature a powerful 5.0-liter V-8 engine. You can get it in either 6-speed manual or 6-speed automatic. One of the coolest options is the availability to select the car in Wimbledon White, the color of the first Mustang. The most interesting aspect to this anniversary celebration is that many of those who head the company are in line for the special edition. 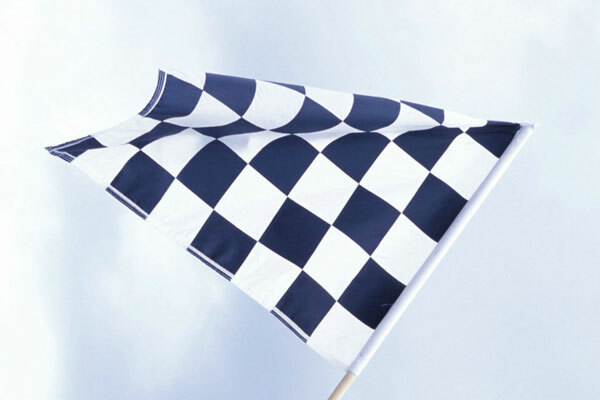 Bill Ford, grandson of Henry Ford, has already claimed number one. Mark Fields, the CEO, will also get one. You know you are doing business with a healthy company when the top brass clamor for the product as much you do! Come to Sanderson Ford today to check out some of the company’s other great vehicles, as well as the iconic pony car! Production has officially started on the 2015 Ford Mustang! At the Flat Rock, Michigan factory, production is underway in anticipation of sales kick off in the coming months. It feels like we have been waiting for years for this to happen and can’t believe we are only months away from it finally happening! American’s aren’t the only ones excited. 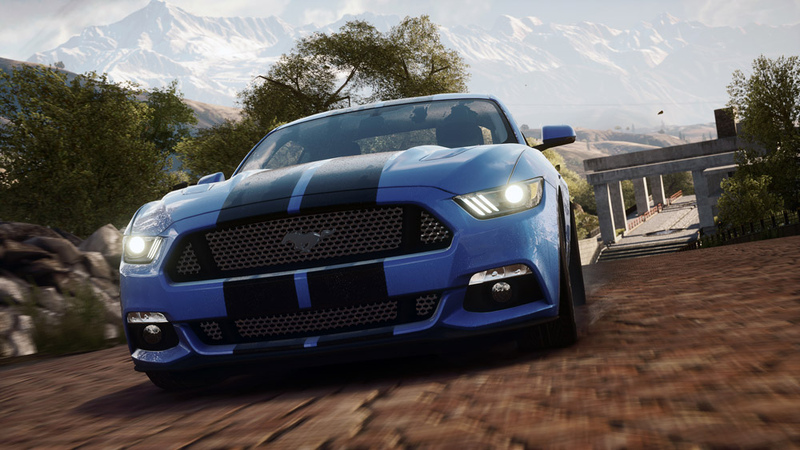 “Mustang is and will continue to be an automotive icon. 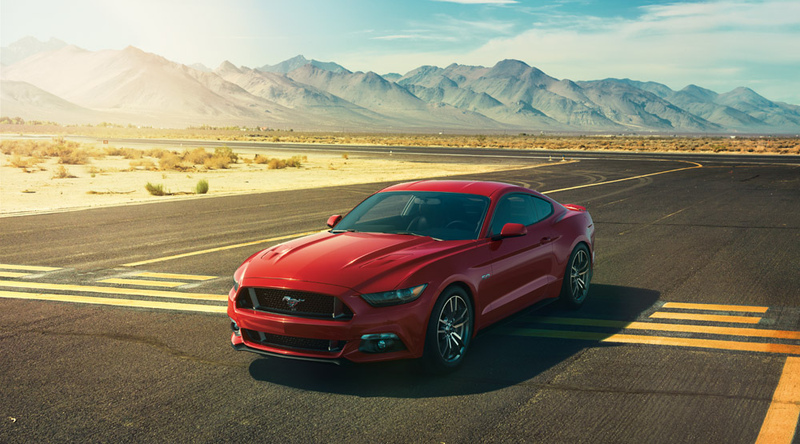 Expanding its availability globally affords our customers around the world the opportunity to have a true firsthand Mustang experience – one unlike any other,” said Joe Hinrichs, Ford’s president of the Americas. The Flat Rock, Michigan factory has been building the Mustang since 2005 and in order to build the 2015 model, the factory received a $555-million investment to handle the production. We are all excited for the official debut of the 2015 Ford Mustang and no one can wait for it to be available for purchase. 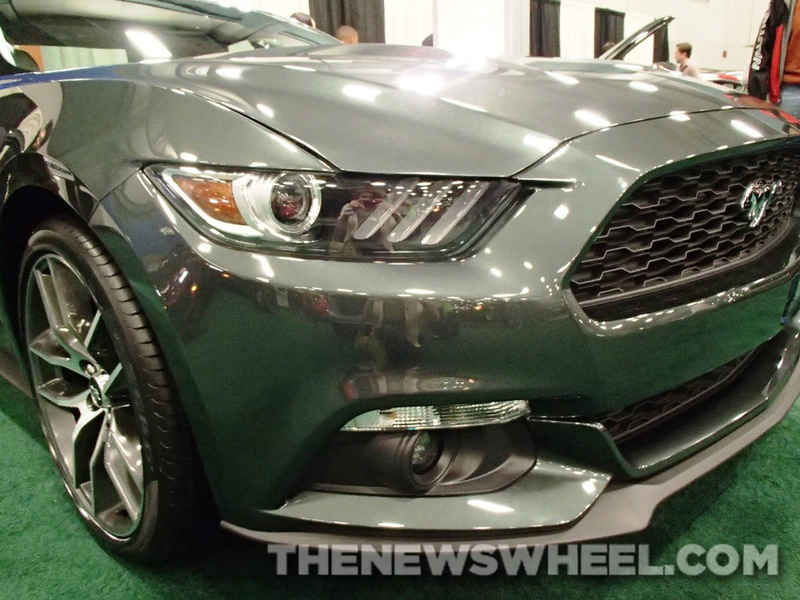 If you are ready to own your own 2015 Mustang, then contact Sanderson Ford! We are taking pre-orders now! Of all the things the 2015 Ford Mustang will do, safety is the top priority for Ford’s newest model of America’s favorite muscle car. We’ve heard many tidbits leaked about what the new Mustang will do, including unbelievable handling and a great design, but the most recent news has us really excited for the future of this car. An innovative new glovebox airbag will prevent passengers from knee injuries in a crash. All of the 2015 Ford Mustang’s will have the active knee airbag as a standard feature, plus, it will be the first vehicle among Ford’s incredible lineup that will receive the knee airbag system. This knee airbag system is 65% lighter than a traditional airbag and uses up to a 75% smaller inflator. The airbag is virtually undetectable when you look at the glovebox door. We are not sure if the knee airbag will show up in other Ford vehicles, but at Sanderson Ford, we think it’s a great idea, so why not? 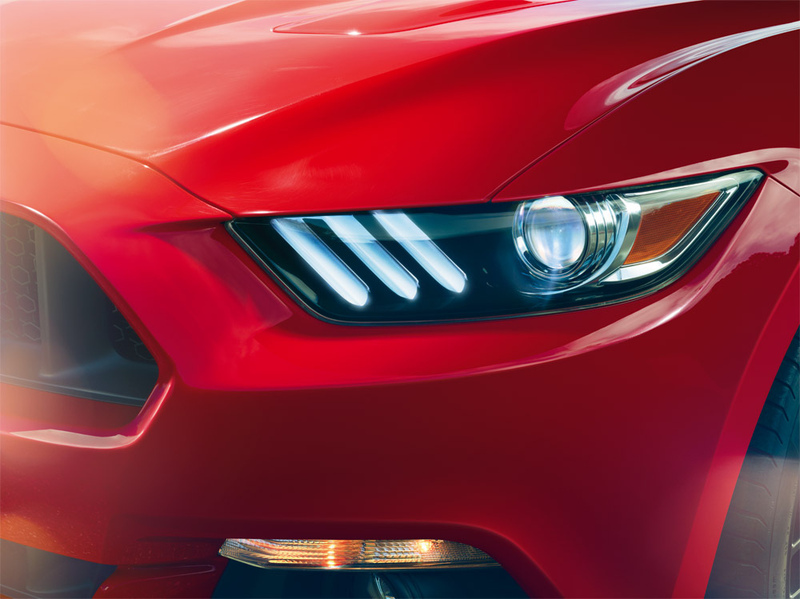 And if you want to take a look at the all-new 2015 Ford Mustang, then visit our showroom today! If you watch the Quicken Loans 400 NASCAR Sprint Cup located at Michigan International Speedway on Sunday, then you will get to watch the impressive speed and handling of the new 2015 Ford Mustang GT. Ford has just named it as the official pace car for the race. With a 5.0-liter V8 engine that produces over 420 horsepower and more than 390 lb.-ft. of torque, this is a great choice. Ford could not be happier to have the new Mustang GT in the race. This event is a showcase for the auto industry and enthusiasts alike. People get to see the new cars in action and see what they can really do in person. This new generation features a sleeker design, a lower and wider body, a bolder dual grille, LED taillights, integral-link independent rear suspension, and much more. For those of you who are dying to get your hands on the new vehicle, the 2015 Mustang is not yet in production. It is expected to hit the assembly line in mid 2014 and be available in your local dealership showroom come this fall. This car will be made available to the rest of the world throughout 2015, based on Ford’s staggered release plan. U.S. ordering is stating this summer so get ready!